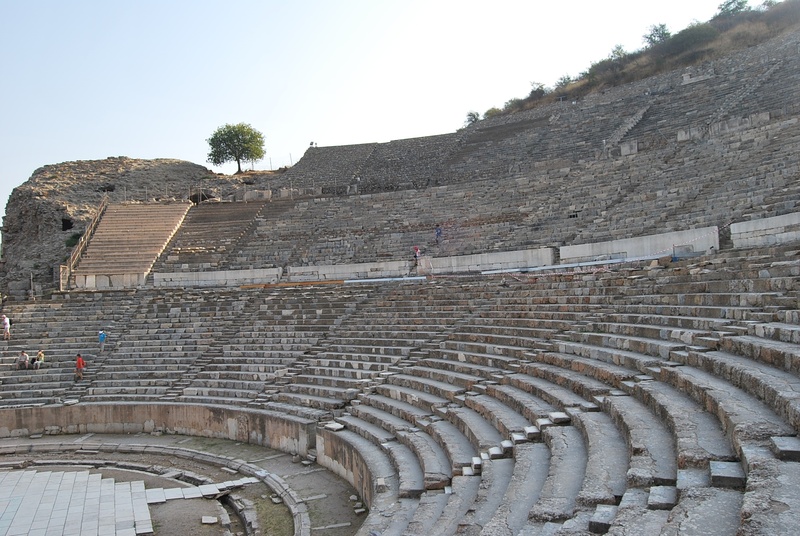 The great theater of Ephesus is a splendidly preserved and very impressive building. 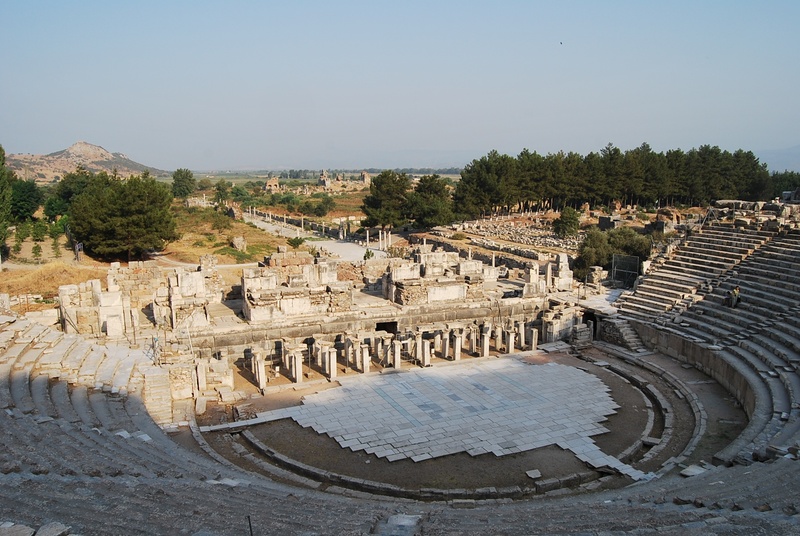 This structure, built of marble, has a width of 145 meters, and its audience once reached up to 30 meters. In its heyday, it could accommodate up to 24,000 spectators. 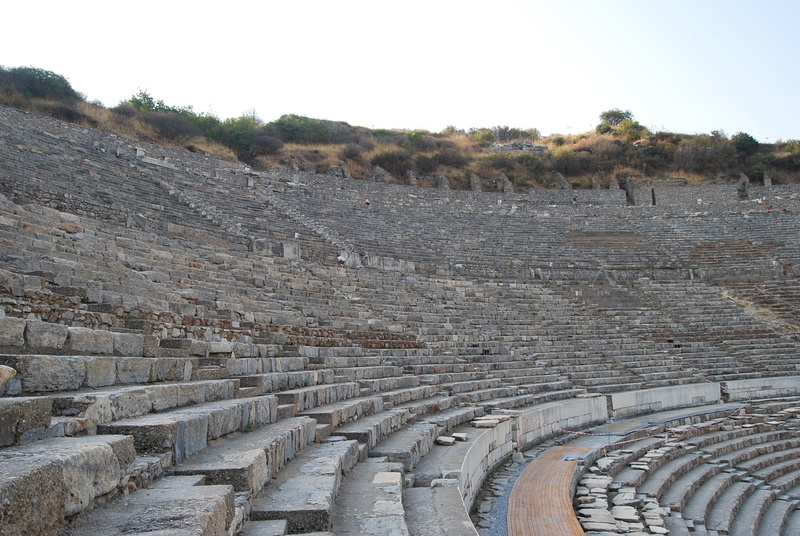 The construction of the theater began in Hellenistic times. 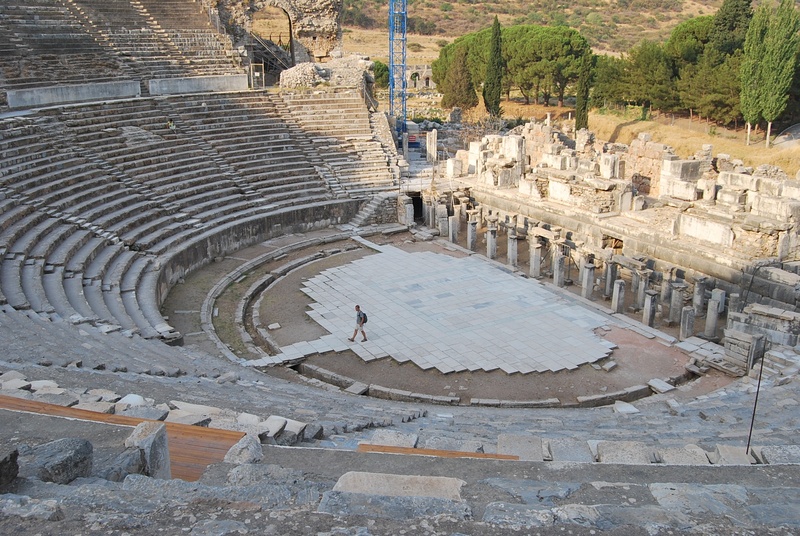 In Roman times, during the reign of Emperor Claudius (41-54 AD), the theater was enlarged. The two-storey stage (skene) was built during the reign of Emperor Nero (54-68 AD) and the third storey was added later, in the mid-2nd century. The completion of its construction took place only in the times of Emperor Trajan (98-117 AD). 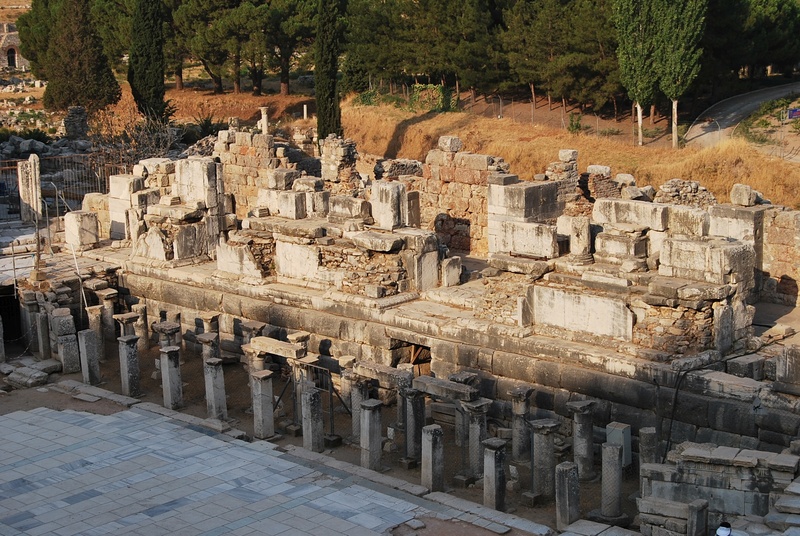 In the early 2nd century AD an aqueduct was constructed to bring water to Ephesus, for the Trajan nymphaeum. Its course required a channel through the upper section of seats. 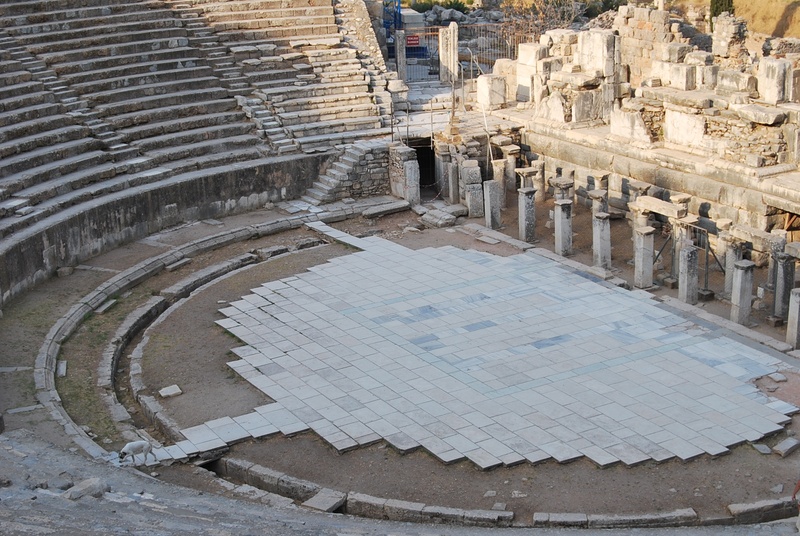 The Ephesus theatre is important for scholars as an example of a Hellenistic building later transformed by the Roman architects. Some parts of the Hellenistic skene were later incorporated into the Roman-period construction. Their discovery shed some light on the style and shape of the earlier structure. The theatre was never covered by a roof. 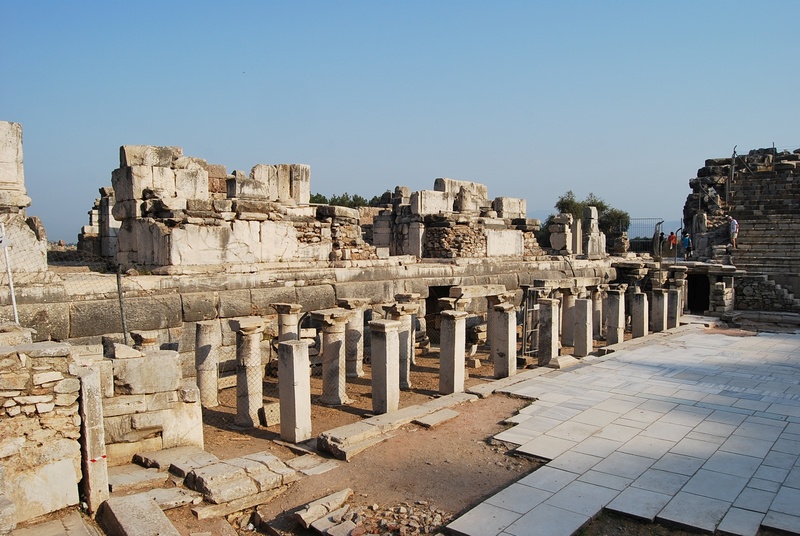 However, an awning was added in the middle of the 2nd century AD to provide weather protection for the spectators. The people in the audience could enjoy the performances comfortably as the steepness of the rows increases above each diazomata, to the benefit of those sitting at the back. 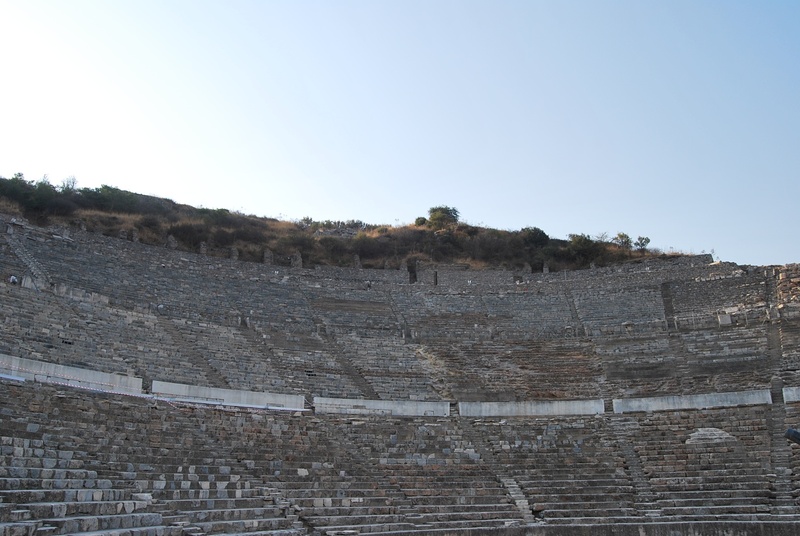 The theater was damaged by the earthquakes between 359 and 366 that destroyed the upper cavea. Some repairs to the northern walls were done during the reign of Arcadius (395-408 AD), but the upper cavea was abandoned. 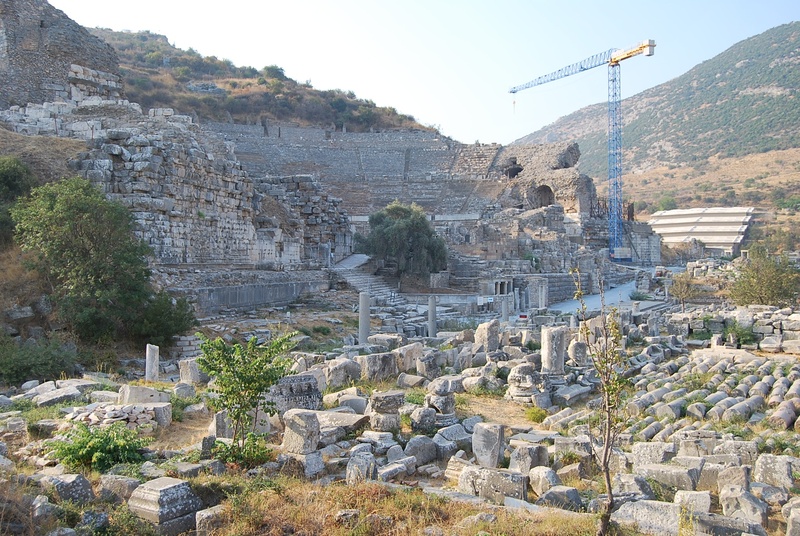 An epigram mentions the proconsul Messalinus, responsible for the completion of these repairs. 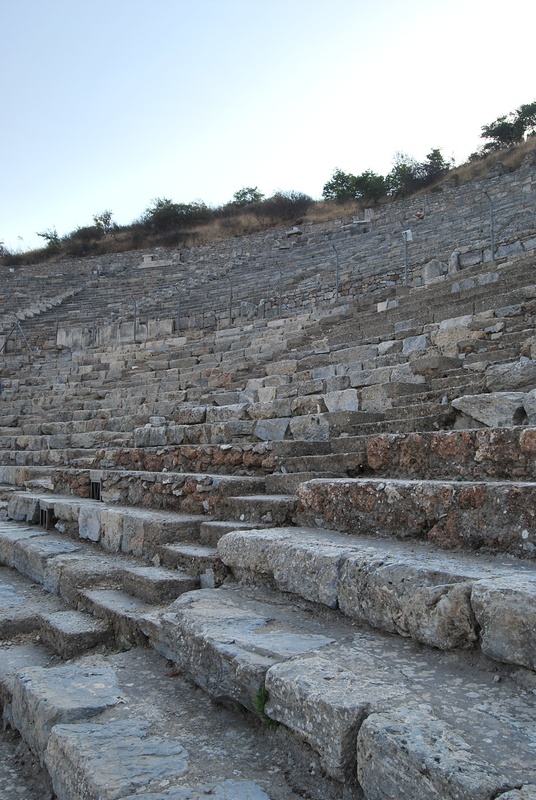 In the 8th century AD the theatre became a part of the defensive fortifications of Ephesus. 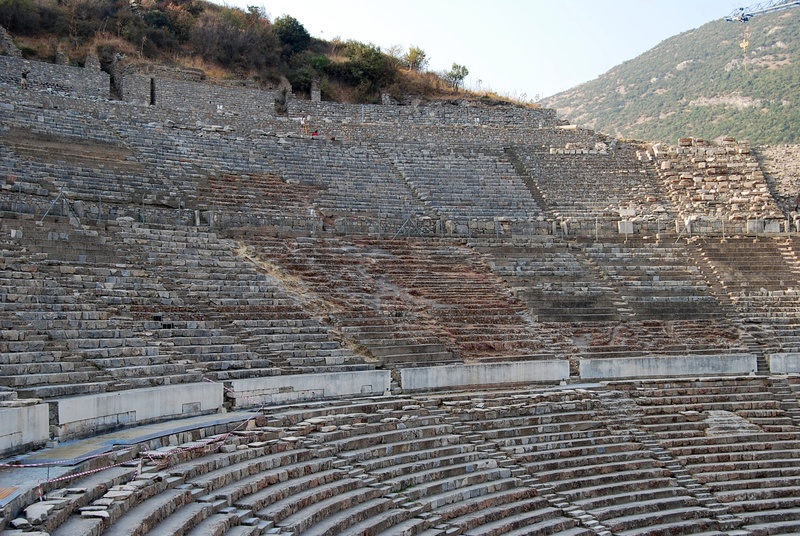 The theater is often mentioned in the context of St. Paul's visit to Ephesus. The common misconception is that he actually preached in the theatre. Actually, there is no historical evidence of St. Paul's presence in the theatre. Moreover, it was under reconstruction at that moment. The situation, as it is described in the Acts of the Apostles (19:23-41), developed after a local jeweler named Demetrius encouraged the crowd to chant "Great is the goddess Diana of Ephesus!". His motivation was the fear of a drop in sales of statues depicting the goddess. The crowd started moving towards the theatre, but St. Paul was encouraged by his friends not to enter the theatre. The riot provoked by Demetrius forced Paul to leave the city. 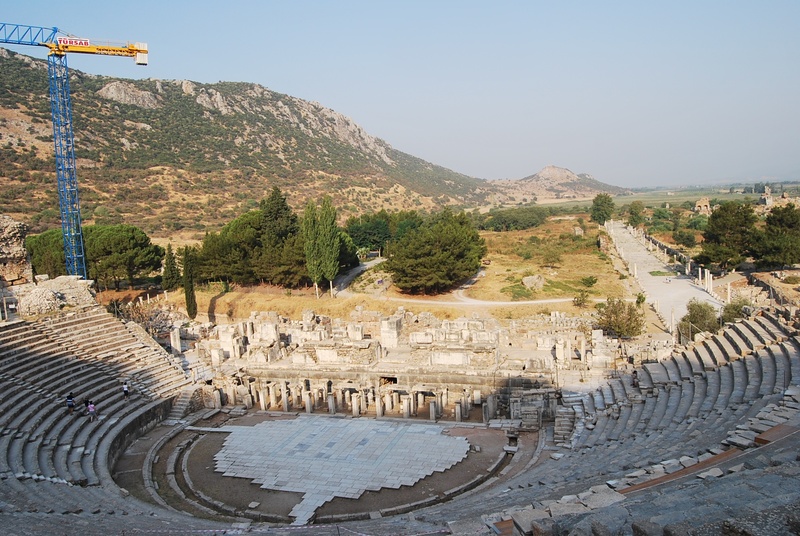 The great theatre of Ephesus was one of the first structures excavated by archaeologists before the First World War. 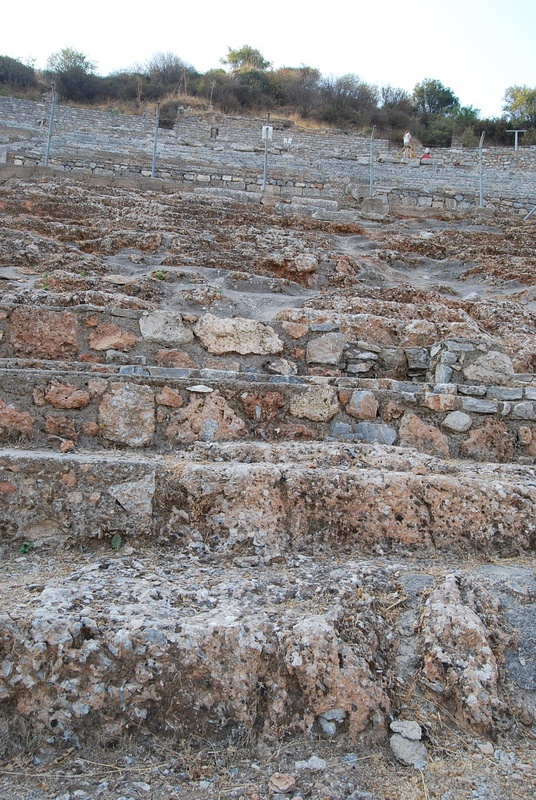 In the 1970s and 1990s, the cavea was completely excavated and restored. Renovation work was also carried out at the beginning of the 21st century.